Catskills bungalows have been inextricably linked to New York City for decades, places where families could spend the summer—moms and their kids stayed put, and dads visited on weekends—away from the grit of the city. (Picture Diane Lane in A Walk on the Moon, the 1999 drama about a NYC housewife's turbulent summer near Woodstock.) In their heyday, there were reportedly nearly 800 communities (also called colonies) in existence. We're no Diane Lane, and there are less than 50 colonies left operating, but they're worth another look, if not just for history but for the Mother Nature respite they offer at a fraction of Hamptons prices. A bungalow, essentially, is a small house without any frills. 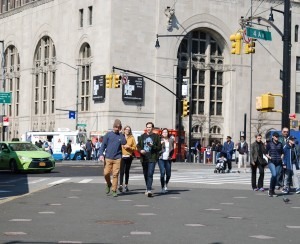 But to seasoned New Yorkers used to cramped spaces, it probably still feels airier than what you have to work with here in the city, especially given how you're connected to the great outdoors with one fling of the door. Still, luxe lodgings these aren't. Most bungalows have an eat-in kitchen with just enough space for a full refrigerator and oven. Some properties have dishwashers, but plenty others don't — many communities actually ban dishwashers and private washing machines due to the sensitive power grid. Bungalows don't come with air conditioning, either. There's a bathroom (some bathrooms have both a bathtub and shower, others just have a shower), and either one or two additional rooms that can be used as a living room or bedroom. Many bungalows also have decks or screened-in porches—the better to take in the bucolic view, which can, given how close the houses are, include framed vistas of your neighbor's yard. Owners are each in charge of their bungalows, but they do exist within a larger cooperative community. That means the community shares the land and the amenities, which can include pools, tennis courts, and weekly entertainment. That also means they're sharing in the expense of communal perks like these. How did there end up to be so many communities in the Catskills? Bungalow colonies date back to the turn of the 19th century, when Jewish farmers throughout the Catskills began renting rooms and cottages to seasonal borders. The idea caught on, and families began to build and operate larger developments that became known as summer resorts for the Jewish community. By the 1950s, there were a half million residents occupying the so-called “Jewish Alps” every summer. The larger resorts, either small hotels or bungalow communities, were known for all-inclusive amenities like meals, entertainment and childcare. The biggest resort at the time, The Concord, had more than 1,500 guest rooms and a dining room that could seat 3,000. Grossinger's Resort, originally just a single-family home the owner rented out to boarders, grew into a 35-building complex with its own airstrip and post office. Many of these places fell into disrepair around the 1970s for a number of reasons. Anti-Semitism had declined by then, so Jewish people felt free to vacation in a variety of places. Children who grew up spending summers in the bungalow communities were also ready to vacation somewhere new as adults. 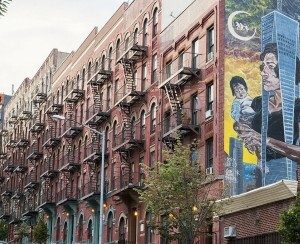 Now, only a handful of the communities remain with about a dozen of the surviving developments becoming co-ops. Today these communities vary: Some still remain a primarily Jewish vacation destination, although all accommodate a diverse crowd that mostly includes families from New York City. If you’re ready to sample bungalow life, houses are available to rent, which gives you time to try it out to see if it's your long-term jam, or buy. Pricing varies, but tends to range from $25,000 up to $75,000 depending on the size of the bungalow, it's condition, and the community. Rental properties typically cost between $3,000 and $7,000 for the summer. “There isn’t much available if you’re looking to buy,” said Sue Young, president of the Buffalo Colony co-op board. Young says maintenance costs vary based on the size and share on the individual unit, but the average is around $4,000 a year. People tend to hold onto their properties, too — she said that half of the colony has been there for over 40 years. Buying usually requires a stroke of luck, according to Young. Renting, which you can do for the entire season or for a few weeks, depending on the community, is much easier. 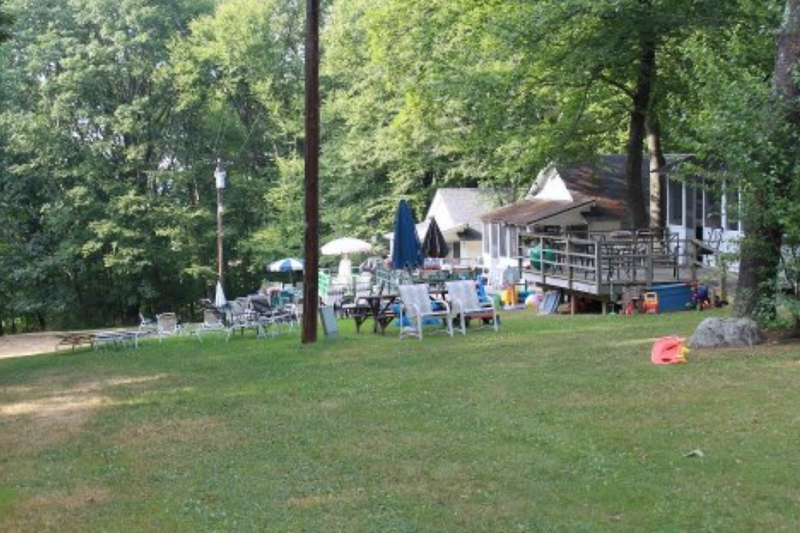 Lansmans Bungalow Colony, a kid-friendly colony with a summer camp on its grounds, has both co-ops and rentals, but only rentals are available at the moment and range from $3,000 up to $6,500 for the summer. The Buffalo Colony in Woodbourne, known for its larger, family-sized units, has bungalows for rent and sale, with one property that needs significant work asking $45,000. Spring Glen Woods in Spring Glen, a smaller community with 21 units, does not rent, but there is one property for sale, asking $28,000. Rosmarins Cottages in Monroe, another colony with a summer camp on site, only offers rentals priced around $4,000per summer. (At Rosmarins renters can “claim” a property, keep belongings there during the offseason, and return every summer.) 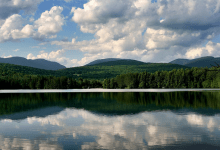 Lake Huntington Summer Community is one of the few Catskill communities that offers short-term rentals, with weekly stays priced at $800 and up. Summer in a bungalow community is for those who don’t mind roughing it, and are seeking other families with whom to enjoy the summer. It's definitely a kid-friendly experience, where they’re allowed plenty of freedom within the grounds—an experience likely different from city life. “This is a close community that returns year after year,” said Scott Rosmarin, the third generation owner of Rosmarins Cottages. He cited jam nights on Fridays and entertainment at the “casino,” or clubhouse, every Saturday, as lures, among many others. Rosemarins Cottages sits on about 100 acres of land and includes a kid’s day camp, swimming pools, tennis courts and a lake for swimming. The Buffalo Colony spans 105 acres and includes woods, meadows, a large pool and swimming pond. “It’s one of the most wonderful places in the world,” said Young, who bought back in 1981. 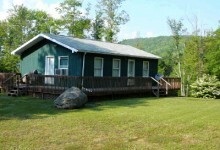 You can also find the occasional bungalow property listed in the Catskills Craigslist. It's best to start your search before the season, which lasts from Memorial Day to Labor Day, if you want to enjoy the entire summer at the colony. It's still possible, however, to snag a rental bungalow after the season has started. If you're buying you should know that bungalows, strictly seasonal homes that aren't livable year round, are ineligible for mortgages. You’ll have to be ready to pay upfront in cash, and there are supplemental yearly fees that vary between each community. This isn’t an investment like New York City real estate, as these properties don’t tend to go up in value. If you’re looking to find your own summer bungalow at the last minute, renting is the best option. “The bungalows are here and available,” said Rosmarin. While he’s noticed a resurgence of city dwellers heading up to the Catskills, he says he usually has some rental availabilities before, or at the beginning, of the summer. In other words, right now. Start calling. *Updated on March 25, 2016. This article was first posted in May 2015.